Two and a half years ago, Nadine was inadvertently hit with gluten—three times in a row. In the past, it had taken about ten weeks for her symptoms to resolve after an accidental exposure, but this time they stuck around. It started with feeling cold. Then she began experiencing abdominal distention and pain. Her dermatitis herpetiformis returned, she was plagued with sinus congestion, and she was gaining weight. Most concerning of all, she developed pulmonary edema, a condition caused by excess fluid in the lungs. 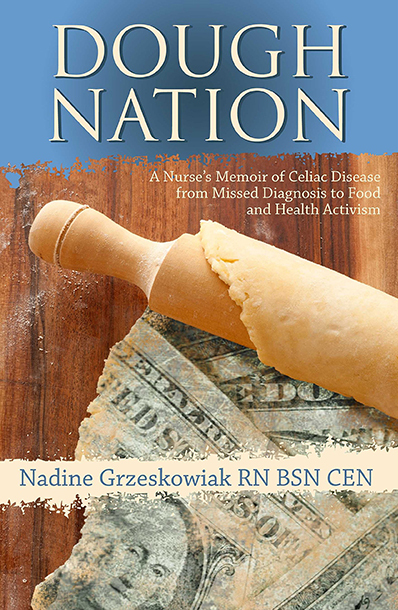 Today, the Gluten Free RN is getting real, revealing the health struggles she has been dealing with since 2015. She explains the circumstances that led to her accidental gluten exposure and recounts the ten scary nights she spent in a recliner, forced to sit up in order to breathe. Nadine takes us along on her global search for the answers that began with a practitioner in Thailand and a tiny container of damp rash lotion, and ended with a diagnosis of myxedema from a naturopath here in the States. Nadine discusses how those three consecutive hits of gluten targeted her thyroid gland and how T3 is working to resolve her symptoms. Listen in and learn how the Gluten Free RN is reclaiming her Superwoman status and how you, too, can reach your full potential with good health and wellbeing!